Yanko Michea is the newly appointed Director of Information Technology for the College of Education. 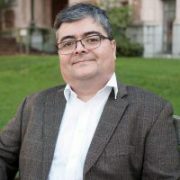 In addition to leading technology operations, he works with faculty, staff and students around educational technology, instructional design and innovation to systematically support the college’s educational mission. He is experienced in technology-based academic innovation, gaming/simulation, and analytics. Yanko enjoys working with faculty and welcomes the opportunity of exploring new challenges! If not working, he likes to spend time in diverse activities either outdoors (running, hiking) or indoors cooking or watching movies with his family. 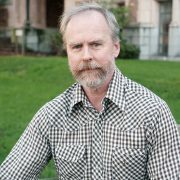 Paul Hanisko is the developer of our college databases, shared web-based tools that support our internal business processes. 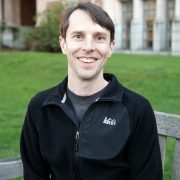 Paul has served multiple roles working with technology and data at UW since 2008. His goal for the college databases is to make our institutional data easy to maintain and accessible so we can make informed decisions efficiently. Paul enjoys playing board games and is getting pretty good at Hive. 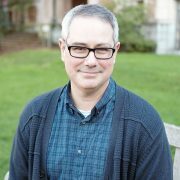 Paul has been Web Manager at the College since 2007, and works closely with both the Technology and Communications teams to build and maintain the College’s main website, as well as a number of other sites for Centers and Programs run by College faculty. He’s always happy to talk with members of the College community about web concerns, whether it’s something as small as updating your CV, or rolling out a new site for big research project. He owns too many guitars. Ryan is our IT Manager. He has been with the CoE since 2007, and focuses on managing the CoE servers and Help Desk. He graduated from the University of Washington with a Bachelor of Arts and Music in 1998. From there he has both studied and worked in Switzerland, Luxembourg, and Germany, before returning to Seattle. He loves the fast paced nature of technology. Ryan also enjoys home remodeling and playing the french horn. 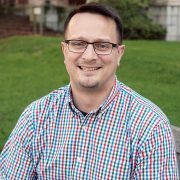 Mikal Herman joined the College of Education in the fall of 2016 after spending 14 years in IT at the UW Bothell campus. He provides technology support to the College’s Center for Educational Leadership and Haring Center as well as working closely with the other Technology Center staff. Mikal enjoys helping those he supports understand and use current and emerging technologies available to them in creative and meaningful ways. Away for work he enjoys being on the water and spending time outdoors with his family. Erin Riesland joined the Center in the fall of 2017 and brings extensive experience working with University faculty and teachers to create innovative and accessible student-centered learning experiences in Canvas and beyond. 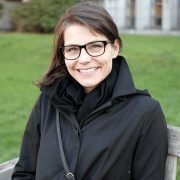 In addition to her work in the Technology Center, Erin is a PhD student in LSHD where she researches emerging practices in immersive technologies and is advised by Katie Headrick Taylor. 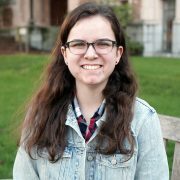 Claire Beard has worked at the IT help desk since the fall of 2018. She is currently studying for a degree in computer science and is minoring in music. Claire spends her free time biking, reading Marvel comics, and playing electric guitar. Kosuke has worked at the IT help desk since the autumn of 2015. 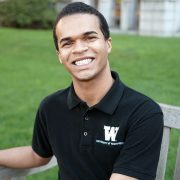 He is currently studying for a degree in public health and wants to work in the field of epidemiology or health policy. Kosuke enjoys watching anime and playing tennis. He is also a fan of Shia LaBeouf and John Cena videos on the internet. Raphael started working at the IT help desk in Fall 2017 as a freshmen hoping to study Informatics and wants to work in the field of cybersecurity and software engineering. Raphael enjoys being featured on Snapchat stories and being a UW Campus Story icon. He also loves being a ghost editor for people’s Instagram photos. 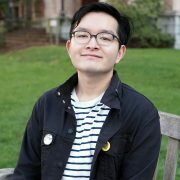 Kevin started working at the IT help desk in Winter 2017 as a freshman studying Applied Computational Math Sciences (ACMS) and intends to double major in Computer Science. 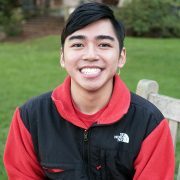 After graduating, Kevin hopes to work as a data analyst or a software developer before starting his own organization. 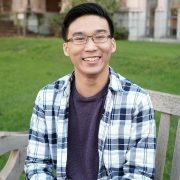 In his free time, Kevin volunteers as an educator at his youth group, organizes events with Phi Chi Theta, and manages the UW League of Legends teams.